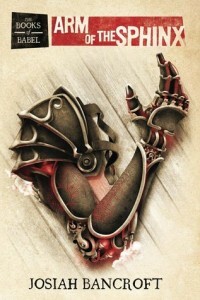 This is the first book in Wooding’s “Darkwater Legacy” fantasy trilogy. It is set in the country of Ossia, a nation which has memories of its glory days as a powerful Empire, but which was conquered by its Krodan neighbours three decades before the start of the story. Many of the native Ossians have adjusted to their new life, but there are still some rebels who dream of Ossia being a nation again, resenting Krodan restrictions on their liberty and the dominance of Krodan culture and religion. The book’s protagonist, Aren, is a young Ossian man who is initially a loyal subject of the Krodan Empire, but soon finds that the Krodans don’t feel the same loyalty towards him after he is arrested on trumped-up charges and thrown into a prison camp along with his best friend Cade. As the story progresses he comes into contact with a small group who believe they may have a way to overthrow Krodan dominance, although Aren is uncertain about whether he should join in their quest. Overall, I thought this was a good book, it was perhaps a bit slow to begin with but it picked up once they got to Skavenhald and the final section was the highlight of the book. The series has been described as Wooding's homage to the more traditional epic fantasy of the 80s and 90s, and early it on it does feel a lot like that but perhaps less so as the story goes on. I think the early 90s fantasy it most resembles might be Guy Gavriel Kay's "Tigana"" due to the plot following the group of freedom fighters trying to free a country where their countrymen aren't necessarily sure they want to be freed. The ambiguity over whether the characters are really trying to do the correct thing does add some extra depth to the story, particularly with regards to the character of Garrick where even his followers have some misgivings about some of his actions. While the early stages of the book are a bit predictable at times I thought Wooding did manage to throw in a few good twists and surprises at it goes along, and his willingness to abruptly kill off characters adds a bit of unpredictability to the story. In his previous books Wooding's characterisation has been one of the strongest elements, there is some good characterisation here again although I found the secondary characters to be more interesting than Aren and Cade, the initial protagonists of the story. The world-building is perhaps a bit bland, the portrayal of the country of Ossia itself is fine, but the description of the wider world is vague, we're told that there are a lot of races other than humans out there but never actually see any of them in the book, perhaps we'll get a better picture of the world in the later parts of the trilogy. 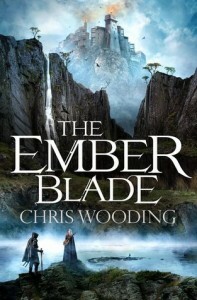 Compared to Wooding's previous books, I'd rank this similar to "The Braided Path", his previous attempt at epic fantasy, and maybe not quite as great as "The Tales of the Ketty Jay" or "The Fade". Jazz Bashara has lived her life in humanity’s first lunar colony. Although she has a natural talent for engineering, she prefers to earn her living doing the mundane job of a porter, with some extra income coming in from small-scale smuggling. When one of her clients offers her a big payday she jumps at the chance despite some misgivings, but quickly finds herself in over her head with both her life and the future of the colony at stake. 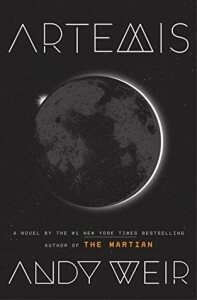 I really enjoyed Weir's The Martian when I read it a few years ago, despite some occasionally clunky writing, but I found Artemis a bit disappointing in comparison. On the plus side, I found it reasonably entertaining to read and it moved at a decent pace. In terms of the descriptions of the technology of the first lunar city I thought it seemed fine, but it was a bit distracting that despite being nominally a Kenyan colony and populated by an international workforce everyone seems to talk like they're in an American TV show and despite being decades in the future it was filled with contemporary pop culture references. It's slightly unfair to compare it to Ian McDonald's Luna series since that's about a much more established Lunar culture, but I felt McDonald put in a lot of effort designing his lunar society whereas Weir doesn't seem to have put in any effort at all. I also wasn't impressed with the writing of the protagonist, Jazz Bashara may be a Saudi woman in her mid 20s but her internal narration sounds more like an American teenage boy. I mostly thought the plot was OK, but I think it fell apart at the end, in particular there were two points I struggled with where it felt like it went a bit too far to give the book a happy ending. I thought “Sailor to a Siren” was an interesting mix of gangland thriller and science fiction novel (with a small amount of fantasy thrown in). This book picks up a few years after Sailor to a Siren, focusing on Connor Cardwain whose status has risen in the intervening years and is now in charge of a large and lucrative business with both criminal and legitimate sides. This book introduces a new genre to the series - the story is a murder mystery with Connor investigating the brutal death of one of his employees in a locked room nobody else had entered. The investigation quickly spirals out of control as Connor comes to realise he is a pawn in the middle of a much bigger game and faces loses everything he has built. However, he isn’t a character who would ever be content to be a mere pawn. There are a lot of different factions in this story where everyone has their own agenda, including Connor himself who always seems to have several schemes going on. The sheer number of different characters can start to feel slightly intimidating at times, but they do all have a motivation that makes sense from their perspective (even if it is initially well concealed). Connor is an interesting protagonist, capable of being extremely ruthless and committing just about any crime, but also very loyal towards his friends and employees and capable of more compassion that might be expected from someone in his line of work. I thought this book had a more ambitious plot than Sailor to a Siren, although the pacing does perhaps suffer a bit because of the increased complexity. The pacing of the story was a bit slow to begin with as the large cast of characters were introduced, but it does pick up once the plot starts in earnest and the story becomes more compelling as it goes along. Halfway through the book I was struggling to see how the different story strands connected together but by the end it has been brought together into a neat conclusion. I think I preferred the first book in the series overall, but this was still a good mix of murder mystery and science fiction. It's been a while since I've posted anything on here, but I thought I'd update with a list of the best books that I've read this year. 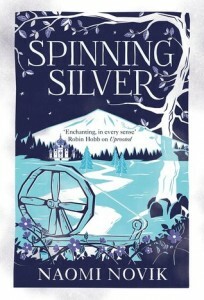 Starts off as a fascinating piece of historical fiction in a setting (a Dutch trading colony in 18th Century Japan) I knew little about, but it’s the introduction of a (relatively subtle) fantasy element in the second part of the book that really raises the stakes and makes this so compelling. Mitchell’s writing is great, there are memorable characters and it has a powerful ending. 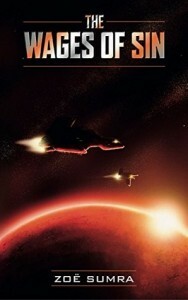 Has a reputation as one of the masterpieces of 20th Century Science fiction and it lives up to it. The way Le Guin slowly unravels the contrasting strengths and weaknesses of the two societies is thought-provoking, but this isn’t just about the ideas, Shevek is a great protagonist and the plot is compelling. I can’t say I’ve ever read anything quite like this, the setting is utterly bizarre and alien with warfare being conducted using calendars. It may throw the reader in at the deep end but I think it reveals enough to be comprehensible. The phrase ‘grim dark future’ has been rather overused in recent years, this one definitely qualified but the characterisation offers just enough glimpses of humanity to stop it being entirely bleak. It also features a fascinating antihero in the form of Shuos Jedao. A welcome return that is reminiscent of the best parts of “His Dark Materials”. Maybe this is still ostensibly a young adult book but Pullman has never talked down to his audience and there is plenty of depth here, as well as an entertaining adventure fable. A good conclusion to the trilogy that manages to fit well with the rest of the series even if I suspect it wasn’t planned in advance. After the previous books had been a spy novel and a war novel in a fantasy setting this feels more like a Western, specifically one of those Westerns where an ageing gunslinger with plenty of regrets finds he can’t quite rest yet. Sadly this is the last time I’ll ever read one of Banks’ SF novels for the first time. This isn’t a Culture novel but it has all the ambition and wonder of that setting, the parts of the story spent in the gas giant inhabited by the Dwellers are excellent. However, some of the other subplots did fall a bit flat. 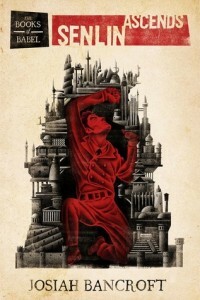 An audacious and playful concept of a man searching for his lost wife in the bizarre societies of the Tower of Babel. An enjoyable and unusual read, even if it perhaps started to lose momentum in the third act. The sequel to Ninefox Gambit takes the plot in some interesting new directions and introduces some different perspectives on the story. A high-concept epic fantasy set in a world where everyone can shape shift into the form of various animals. This makes for some distinctive action scenes, and the plot has a few surprising developments that I wasn’t expecting after the previous book in the trilogy. I’ve always enjoyed Tchaikovsky’s characterisation and this is no exception. I found this a bit inconsistent, but at its best has some excellent writing – Lucasinho Corta monologuing about the importance of cake to his niece while fleeing for their lives across the lunar surface was particularly great. 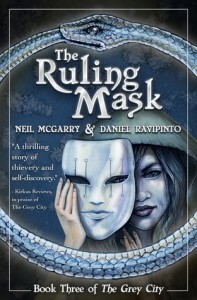 Honourable mentions to Ian Esslemont's Dancer's Lament, the first five books in Max Gladstone's Craft Cycle, Neil McGarry and Daniel Ravipinto's The Ruling Mask and Jo Zebedee's Inish Carraig. I enjoyed both “Duchess of the Shallows” and “The Fall of Ventaris” so I was looking forward to the third book in this series. The series has established something of a formula in which Duchess needs to come up with a scheme to do some seemingly impossible task (in this case involving the heist of a sacred family heirloom of one of Rodaas’ most prominent families) while simultaneously trying to find out more about her heritage and the city’s secrets and carrying out half a dozen other smaller schemes just for good measure. I think it’s a formula that works well and each book has been steadily increasing the stakes which stops the series feeling repetitive. I think it’s been doing a good job of gradually revealing the background world-building and we are starting to finally get a few answers about the mysterious figure Duchess only knows as “P” whose manipulations seem to be behind many of the events that are occurring. There’s also increasing depth to the world-building, with this book adding a focus on the battles for supremacy between the city’s different religious cults. If I had one criticism for the plotting it would be that occasionally Duchess’ elaborate schemes seem to work better than they have any right to, but this is a fairly small flaw. There is some acknowledgement that even Duchess can’t make everything always work out with a subplot in which one member of her gang does something which leads to a major moral dilemma in which she has to balance her own interests against the well-being of someone working for her. 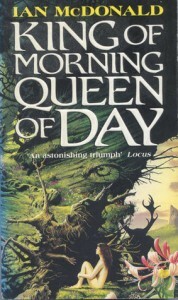 The characterisation has always been good in the series and although the first book largely focused on Duchess and Lysander over time an interesting ensemble cast has built up, all of whom have their own motivations and agendas ranging from just wanting to build a life in a hostile city to more complex struggles for political advantage. It’s interesting to try to work out what all the different characters want, with many of them remaining fairly enigmatic so it’s difficult to really know how much a character like Minette is really a genuine ally to Duchess, although there are occasional exceptions where some characters seem a bit too willing to explain their motivations to someone they barely know. Overall, I’d probably say this was a bit better than the first book and maybe not quite as good as “The Fall of Ventaris”. It is an entertaining book to read and I’m definitely interested in reading more of this story. Previously I hard read three of David Mitchell’s novels, “Cloud Atlas” (which I thought was one of the best books I’ve read in the last few years), “The Bone Clocks” (which I liked many things about but thought had some serious flaws) and “Slade House” (which I thought was an enjoyable haunted house story). 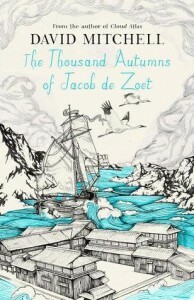 The first obvious difference between them and “The Thousands Autumns of Jacob Zoet” is that this story is told in a much more straightforward manner, rather than having often loosely-linked plotlines taking places over a span of decades or centuries this book mostly focuses on the title character and aside from the epilogue takes place within a couple of years around the end of the 18th Century. The book begins with Jacob de Zoet arriving as the new clerk at the Dutch East India company’s trading outpost of Dejima in Nagasaki harbour, at the time the sole point of contact between the Japanese Empire and the outside world. It’s not a piece of history I knew much about before and Dejima is an intriguing setting, a tiny outpost of Europe in Feudal Japan where every contact between the Dutch merchants and the local population is tightly controlled with the foreigners usually forbidden from leaving the island and where both the Dutch and Japanese are struggling to really understand each other’s cultures. A fair amount of the first part of the book is spent with the inquisitive Jacob trying his best to learn what he can of the local culture. He might be a stranger in Japan but also often feels a stranger among his own countrymen who focus much of their efforts on trying to gain influence in the company and to try to enrich themselves even at their employer’s expense. He feels very much like the Ned Stark of Dejima, an incorruptible man trying to stay true to his principles while surrounded by corruption. However, even Jacob is not without some flaws and despite planning to marry when he returns to the Netherlands he does make some awkward attempts at trying to start a romantic relationship with Orito, a Japanese midwife studying under the Dutch physician Marinus. This part of the book had an interesting setting and some well-developed characters but I felt the plot was fairly slow-moving and the storyline of the new Dejima’s Chief’s attempts to stem corruption wasn’t particularly compelling. However, I thought the plot moved to a new level in the second portion of the story in which Orito is, against her will, made to join a mysterious religious community headed by the enigmatic and powerful Abbot Enomoto. Whereas the first part of the story was mostly told from Jacob’s perspective the second portion adds perspectives from several Japanese characters. Orito’s attempts to adjust to deal with the shock of her sudden change of circumstance and to understand the horrors of the religious cult who are imprisoning her make for a much more compelling storyline. Equally compelling is the heroic but possibly quixotic attempts of a lovestruck Samurai to try to rescue her from her fate. This part of the story also introduces what may be subtle elements of supernatural fantasy into what had been up until this point seemed to be straightforward historical fiction. The fantasy elements are subtle enough that taken on its own merits it could perhaps be debated whether anything genuinely supernatural happened or whether it was just characters believing in the supernatural, although having read Mitchell’s books out of order I found this part of the story to be quite reminiscent of the more overtly fantastical plotlines in “The Bone Clocks” and “Slade House”, even without considering the fact that the character of Marinus appears in all three books. I felt that this did a much better job of integrating the fantastical elements into the main plot than The Bone Clocks did with a similar plotline, perhaps the only small flaw would be that there’s little hint of this in the first couple of hundred pages of the story. The concluding section of the book introduces another new plotline with a Royal Navy warship confronting Dejima in an attempt to muscle in on the lucrative trade with the Japanese, leading to a surprising but satisfying finale. I thought Mitchell’s characterisation was excellent in the previous three books I read and it continues to be equally good here. There’s a lot of good character development here and the supporting cast get plenty of attention, I think just about every significant character gets a chance to tell their own story of what brought them to Dejima. All the characters seem to have well-developed motivations and even the best of the characters will have some flaws while even the more villainous of them may have some redeeming features – the British Captain Penhaligon may be an antagonist but he’s probably a better person than most of the other characters in the story. Jacob is a likeable protagonist and I thought Orito and Ogawa were compelling characters among the Japanese cast. Dr Marinus might be the most entertaining of the characters in the story, especially in a couple of genuinely funny scenes where he takes some unusual measures to try to dissuade Jacob from starting a doomed romance with Orito. Abbot Enomoto was a very effective villain, capable of doing some chillingly evil things but always with his own motivations (although he does at one point give a Bond villain speech to a prisoner which felt a bit out of character). There is some excellent writing here which paints an evocative picture of life in Dejima and Nagasaki in this period. I can’t claim to be able to judge the historical accuracy of it, but it does feel convincing. The prose may be more straightforward than the constant switching between different literary styles in “Cloud Atlas” but I thought it was very effective. Overall, I thought this was a very good book with some great characters, a fascinating setting and some memorable plotlines, perhaps the only flaw was that the plot was a bit slow to get going at first. I did enjoy the first book in this series a lot so I was looking forward to reading the sequel. I had thought “Senlin Ascends” got maybe a bit weaker towards its end and I felt “Arm of the Sphinx” similarly started off relatively poorly. The first third of the book follows Thomas Senlin’s unlikely second career as an unusually gentlemanly airship pirate preying on some of the ships flying around the skies surrounding the Tower of Babel. One problem with this part of the story is that it felt like it moved away from the uniqueness of the setting of the Tower itself and I think the airship piracy plotline has been done better elsewhere (Chris Wooding’s “Tales of the Ketty Jay”, in particular). The story also felt a bit aimless at this stage, the first book had a lot of momentum from Senlin’s quest to ascend the Tower in an attempt to track down his missing wife but it was sometimes hard to see how the adventures of the crew of the “Stone Cloud” were taking them any closer to the goal – something even the characters themselves acknowledged. There are also some times when it started to get a bit too hard to really suspend disbelief, in particular there’s a scene with a harpoon gun and a train which didn’t seem like Senlin’s plan should have worked anywhere near as well as it did. Fortunately, I thought the book improved a lot in the second and third sections where the story returns to the Tower itself. The second part of the story takes place mostly around the Golden Zoo region of the Tower which, like the other regions of the Tower seen in the first book, alternated between being wondrous and sinister (and sometimes both simultaneously). It also introduced a character who might possibly end up being the series’ main villain. The third part of the book might be the best in the series, with Senlin and his crew reluctantly entering the domain of the mysterious being known only as The Sphinx in an attempt to gain his aid in Senlin’s quest. I thought The Sphinx was the most interesting character in the series so far, and I thought the author did a great job of gradually revealing new aspects of his character while keeping The Sphinx’s true motivations enigmatic. Part of the reason this works so well is that we always see The Sphinx from the perspective of one of the other characters and they mostly bring their own pre-conceived prejudices and can’t help this colouring their opinions of The Sphinx’s motivations, it’s quite clear in some cases that they completely misjudged what The Sphinx is trying to do. Sometimes they seem to assign unfairly malign motives to him, while he may be capable of ruthlessness and definitely has his own agenda there are times when he does seem to be genuinely trying to help, although even by the end of the book it’s hard to really be sure whether he’ll ultimately be a force for good or ill. This part of the story also brings in more hints of what the over-arching plotline of the series is going to be, since despite Senlin’s obsession it is clear there’s much more going in the Tower than just his missing wife. While the first book was shown entirely from Senlin’s perspective the sequel rotates between the points of view of the five crew members of The Stone Cloud (and occasionally others). I think it made sense for the first book to be primarily from Senlin’s perspective because as a newcomer to the Tower he has to learn about it in the same way that a reader does, but broadening out the perspective in the sequel is a good idea. It is interesting to see how Senlin himself looks from the other perspectives and the other crew members are interesting characters and Edith in particular gets some good characters development in this book, although I did find Adam’s story arc to be a little bit dull. Away from the crew of the Stone Cloud, I did find Byron and Ferdinand to be entertaining supporting characters in the chapters set in the Sphinx’s lair. Overall, I’d say this book got off to a bit of a slow start but I think it recovered in the remaining two thirds of the book and the last section in particular was excellent and set up several interesting plotlines for the rest of the series. The first thing that really stands out in “Senlin Ascends” is the originality of the premise, in which a headmaster, Thomas Senlin, and his new bride, Marya, go on a honeymoon to legendary The Tower of Babel. The book’s interpretation of the tower is a vast structure stretching far above the clouds where each level is a different ‘ringdom’ with its own culture and its own idiosyncratic rules, the inhabitants of each ringdom might know about their neighbours but often have little knowledge of the rest of the tower, or the wider world beyond. It’s an unusual and memorable setting and much of the book is a journey of exploration through some of the lower levels of the Tower which is an alien environment to the protagonist – initially most of Senlin’s knowledge comes from the “Everyman’s Guide to the Tower of Babel” which he soon realises is a comically inaccurate guidebook which glosses over most of the Tower’s complexity. In the first chapter of the story Senlin and Marya get separated in the vast crowds around the base of the tower, and Senlin soon comes to the dreadful conclusion that he has no way of finding her, making the rest of the book a quest to try to be reunited with her, a quest made more difficult by the fact that he has to guess how she would try to be reunited with him. His initial assumption is that she might try to follow their initial plan of ascending to the third level of the Tower, the resort ringdom known as the Baths, leading him to enter the Tower, although he quickly finds that ascending the Tower isn’t as easy as his Everyman’s Guide had made it sound. His quest is made more difficult by the other inhabitants of the tower who tend to be either wrapped up in their own problems or seek a way to exploit his desperation to their own advantage. The supporting cast has a number of memorable characters and one of the strengths of the characterisation is that it’s often quite difficult to tell what a character’s true agenda is or whether Senlin can trust them. Senlin himself is a likeable protagonist and while he can be frustratingly naïve in the early chapters he does go through quite a lot of character development as he is forced to adjust the way he behaves in order to survive the tower, while still trying to hold on to some of his principles. The book also does a good job of slowly revealing Marya’s character through flashbacks. Senlin’s quest to be reunited with his wife does make for a compelling main plot but there are also some interesting subplots, particularly intriguing is the suggestion that all is not as it appears inside the Tower and there may be a hidden purpose to many of the oddities of its design. It feels like the story is only scratching the surface of some of the mysteries, but this does set things up well for later books in the series. If there is a flaw in the plotting it’s that some of the plot developments feel a bit too convenient to be entirely believable, such as Senlin encountering potentially helpful characters at just the right time or a heist Senlin takes part in which never really feels like it should have worked. I think the setting is definitely the most memorable aspect of the story. There are individual elements that feel familiar from other books but nothing that has combined them all together in quite the same way. There are plenty of wondrous things in the tower, as well as aspects of the tower that feel very dystopian, and often the good and bad parts of the tower are intertwined, the Orwellian surveillance in the theatre ringdom known as The Parlour being particularly memorable. One thing that was a bit disappointing was the wider setting beyond the Tower, the land of Ur may have names reminiscent of ancient Mesopotamia but other than the names the society largely seems to be a form of Victorian Steampunk, it’s a bit of a shame that a book with so much originality in its world-building wasn’t a bit more original in that respect. This is the author’s self-published debut novel but the writing is so consistently good throughout that this doesn’t feel like a debut. The book isn’t without some occasional flaws but it’s a very promising start to what could be an excellent series. I would probably say Ian McDonald is one of my favourite current Science Fiction authors and I’ve read nine books by him before this one. This early work by him is a bit of an outlier because it switches genre to be an early example of Urban Fantasy. The story follows three generations of women who all have some disturbing encounters with the supernatural. It starts in rural Ireland in the early 20th Century when the young daughter of a Gentleman Astronomer encounters what she believes are faeries in the grounds of her family’s estate. The second section moves to Dublin in the 1930s as another young woman with a fondness for telling unlikely stories finds some of her lies appear to be coming true. The final section is in the “present day” (a.k.a. the early 90s) as a bicycle courier hunts supernatural beings around night-time Dublin armed with a pair of katanas. The three sections of the book have very distinctive writing styles. The first section is mostly told via letters and diary entries, which feel appropriate for the 1913 setting but can feel slightly dry at times. The section is the most conventional in the terms of the writing style while the final section feels a bit more experimental. Despite being set in the early 90s it hasn’t dated too badly and I think it’s probably the strongest section of the book in terms of the writing but it was occasionally a bit hard to follow due to the non-linear narrative that jumps between different time periods without clearly showing when each scene is taking place. I think McDonald has always been good at characterisation. The three protagonists have some similarities between them, they’re all troubled in one way or another but some of them are better at dealing that than others. I thought Enye was the most interesting of the characters, she’s also the most pro-active whereas Jessica is perhaps the least interesting because she tended to react to events without being able to really influence them. I think in Jessica’s stories the supporting characters are probably more interesting than Jessica herself. Enye also has a good supporting cast, and even if a character has little relevance to the main plot they can sometimes still get some interesting backstory. I read this immediately after Peadar O’Guilin’s “The Call” which coincidentally also had creatures from ancient Irish mythology interacting with contemporary Ireland, but this is a very different take on mythology. At times it felt like a Science Fiction author’s take on fantasy where none of the mythology can be taken at face value but can instead be some sort of projection of the subconscious of the main characters. It’s an interesting idea and I did like the suggestion that it isn’t just ancient mythology but also its more modern equivalents that can make an appearance. On the downside, the book does sometimes get a little bit bogged down in trying to come up with new terminology to describe what is happening. I liked the book, but probably wouldn’t say it is among McDonald’s best work, the first two sections aren’t as interesting as the third.